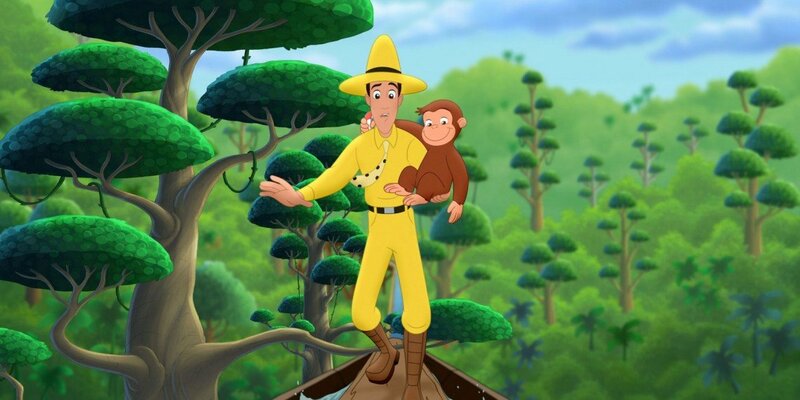 Grease Monkey in Space: The Man with the Yellow Hat's dream of space travel is finally coming true! He's been assigned to repair a large telescope, but on the day of the big launch Professors Wiseman, Pizza and Einstein realize that it's actually a two-man - or rather, a one-man and one-monkey - job. Soon it's up to George to complete the mission and replace the telescope's batteries. George has only a few minutes before his air runs out to accomplish his task and remember his right, his left and his shapes. Can George save the day or will the space walk turn into a space 'whoops?' Pinata Vision: When George attends Betsy's birthday party he is ready for a day of fun with friends. Steve and Betsy blindfold George and give him the first shot at breaking open the birthday pinata - but when George swings the bat without any sense of where he's aiming, he makes a grand mess instead. To help George improve his game, Steve blindfolds George and sets him off to try and find Charkie - and George navigates his way around the city by using only his hands, ears and sense of touch. His adventure leads him to some familiar places and ultimately back to the sweet pinata prize!